Surfing the Web today and I saw that some of the people were commenting on Whoopi Goldberg and her reaction on The View. If you don't know what I'm talking about, during the Oscar telecast on Sunday night, they had a montage of Oscar's greatest moments. They didn't show any video of Whoopi Goldberg hosting the awards (although I think they did show a brief shot of her winning). On The View the next day, all of the hosts started talking about why Whoopi wasn't featured more prominently during the montage. Whoopi was very humble about it. The people at the Academy Awards apologized saying it was just an oversight. But now that I have looked at Whoopi's place in Oscar history, I feel a little bad for what happened. I'm sure that it was just an oversight, but still, there should have been Whoopi in the montage. 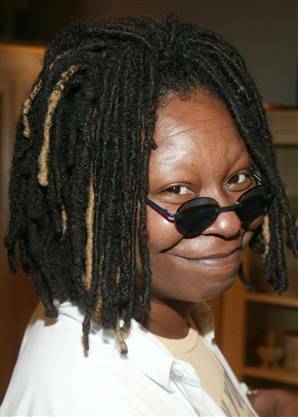 Whoopi Goldberg was only the fifth black actress to ever be nominated for an Oscar. She was only the second black actress to ever win an Oscar. The first was Hatti McDaniel for Gone with the Wind. She was the first woman to ever host the Oscars. She was the first black person to ever host the Oscars. She was the first Academy award winner to ever host the Oscars. He was hosting the night Halle Berry became the first black woman to win best actress. Denzel Washington also won that night for best actor, becoming only the second black man to do so. And finally, she has hosted the Academy Awards for times.